We have heard about various diseases and illnesses that affect our children. We are aware of maladies such as pediatric aids, childhood diabetes, cancer and other diseases that children and their families are fighting. Many of these diseases are being researched and controlled well, and some of them have at least been “arrested” so to speak. These are terrible and hard hitting diseases awaiting a cure. As interesting and unbelievable as it may seem, there is another disease that is affecting more children than all of these other diseases that we have mentioned – combined. It is hard to believe, but Autism has topped all these diseases, yet there is still much mystery surrounding its symptoms and treatment. Consider the fact that about 1 in every 150 children are affected by autism to some degree. There are various degrees of autism from very high functioning individuals who do not show the signs and symptoms of the disease a tremendous amount to individuals whose symptoms, such as lack of socialization, inability to maintain eye contact, repetitive motions and other affects, are very obvious. Autism can affect many things including how children learn, how they interact with others and what sensations they feel, as well as how they feel those sensations. There are many theories as to how a child becomes autistic and how autism affects the brain and thus, the child. However, these are mostly theories and researchers are still trying to find more concrete information. Recently, studies have shown some genetic links and some promise in isolating some of the causes of autism, however, studies are still being conducted. 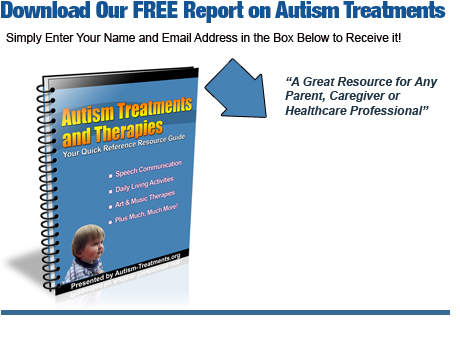 There is more information available that helps parents work with their children and help them through therapy and learning assistance to overcome some of the symptoms of autism at a young age. Research is beginning to show that if autism is diagnosed and treated as soon as possible the results are better as far as social interaction and learning. For now there is no cure for autism, however, it is hopeful that research is being continued to try and help children and their families overcome the issues and symptoms surrounding autism.